Join us for our Spring Showcase titled: The Promise. Students will be given a professional experience as they showcase the skills they’ve been learning all year. The show will be a medley of dancing, singing, acting, and aerials. Dress rehearsals will be the day of the performance at Dobson High School from 9:00 am - 12:00 pm. Students can leave once their piece(s) have finished rehearsing on stage. A call time is when students are asked to show up before an event. The call time for levels 1 -4 (or 7+) is 5:30 pm. Call time for intro and combo classes is 6:30pm. 2 General Admission tickets are given to each student. Any tickets needed beyond must be purchased at full price. Students also receive a show t-shirt that will be handed out on the day of the show. Surprise your student with a shout out that will be published in our show programs. 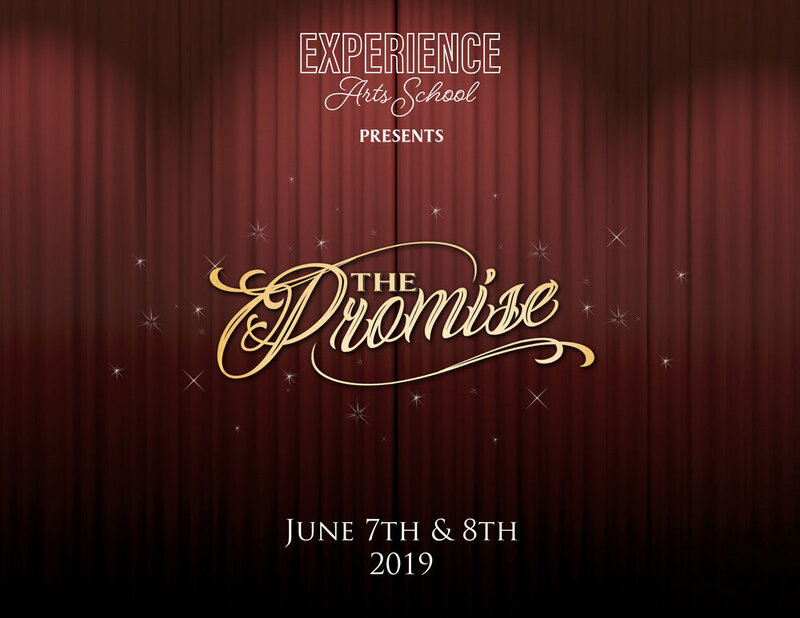 contact info@experienceartsschool.com to learn more. Help sponsor our show and advertise your business at the same time. Contact info@experienceartsschool.com for details.